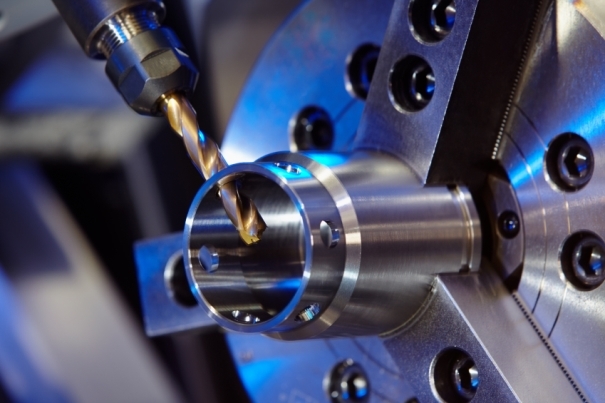 What is the difference between CNC Milling & CNC Turning? Custom CNC machine shop provides valuable resource to businesses and industries.Some parts are made by cnc machines and some by cnc turning machines. Many people who work in the manufacturing industry, even those who have worked in it for years, have a difficult time knowing the difference beween CNC milling and CNC turning. CNC Milling includes the utilization of orders or G-codes customized into the processing machine with each alphanumeric code having an assigned capacity to be performed by the machine. CNC Milling machines can be controlled utilizing the PC controls or the manual supersedes which are situated on the front of the machine. There are numerous examples of products that can be created using CNC milling processes including pulleys, arms, linkages, fixtures, and valves. Often customers have a need to make a strong part from aluminum or steel to replace a weak plastic part supplied by the manufacturer, and CNC milling machines can do this. CNC Turning is the manufacturing process in which bars of material is held in a chuck and rotated while a tool is fed to the piece to remove material to create the desired shape. Multi-Axis machines further enhance our competitiveness by completing a part in one set-up. CNC turning is used to create objects with round or tubular shapes that are created from larger pieces of material. A drive shaft is a simple example of an object that could be created using CNC turning. Other examples include tubing and custom couplings for plumbing or other applications.